Exploring close to home I discovered more of the hidden beauty of Broward County, Florida less than a half hour west of Ft. Lauderdale. 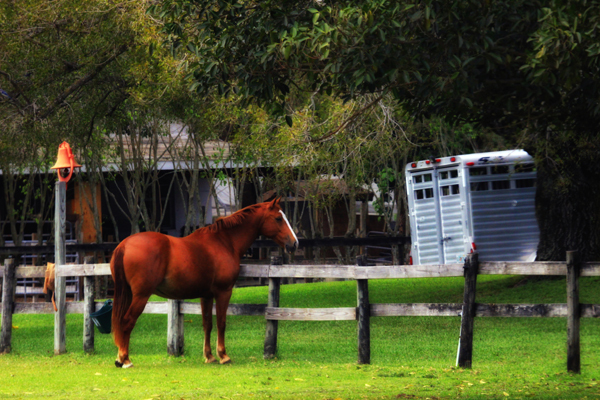 The area boasts beautiful homes on large lots of land, many including stables for the horses that inhabit the properties, situated in Southwest Broward, hence the name, Southwest Ranches. On this image of a horse waiting near the dinner bell for his next meal, it needed a little magic, so I added some in post production. I use software such as Photoshop/Elements or Nik, sparingly, and usually only to clean up or tweak an image to what I saw through the lens. Sometimes, as here, I add a touch more to make an otherwise average image, pop a bit. 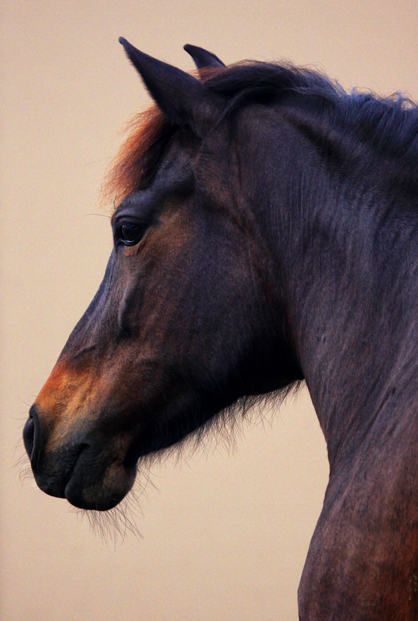 This profile portrait shows how beautiful this particular animal is, by capturing it close-up, against a plain background (in this case the wall of the stable). As usual, for me, it’s all about the details. From the creases in its beautiful brown hide to the hairs under the chin, the sharp detail of these and the other features of the subject, make for a great animal portrait. Seeing several of the horses peeking out from their stables, it reminded me of one of my favorite TV shows as a kid. “Mr. Ed” was about a talking (white) horse who always got the best of his owner. The title of this blog post contains some of the popular lyrics from the theme song of the show. And if you are old enough to have watched it, then you will remember Mr. Ed’s favorite thing to say……Wilburrr.